TFX by Bulova watch. Stainless steel 38mm bezel with date function. 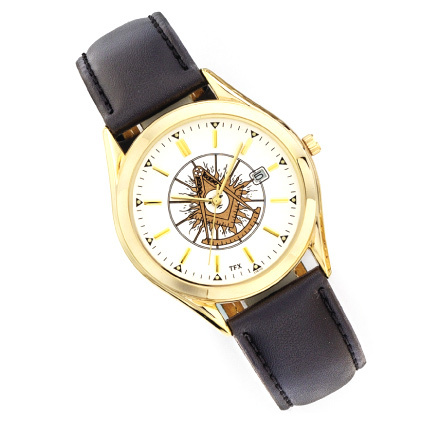 Fine quartz movement, light gold colored round face. Blue Lodge sun emblem in center. Stainless steel gold tone case with black leather strap. Limited 1 year warranty.